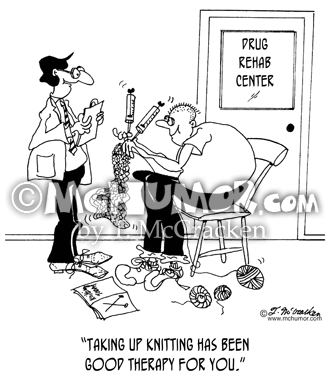 Drug Cartoon 5095: A doctor says to a patient in a drug rehabilitation program knitting using hypodermic needles, "Taking up knitting has been good therapy for you." 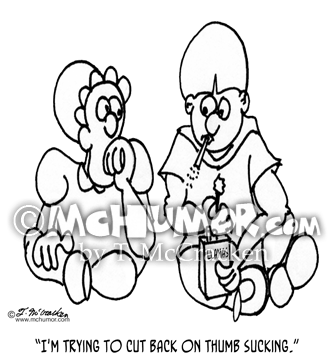 Construction Cartoon 6080: A man says of another carting a coffee machine away from a job site, "Wait a minute. 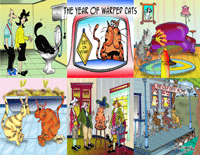 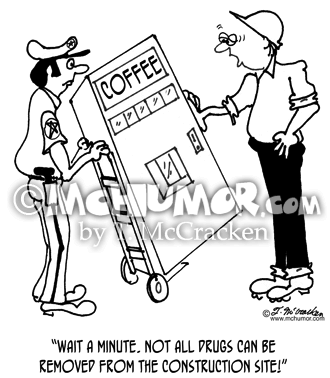 Not ALL drugs can be removed from the construction site!" 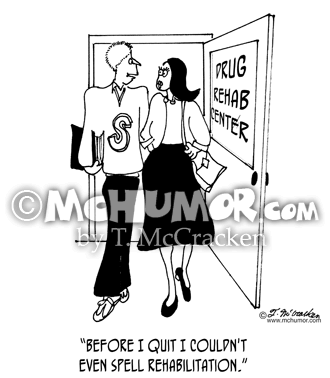 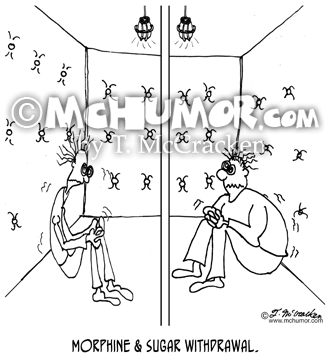 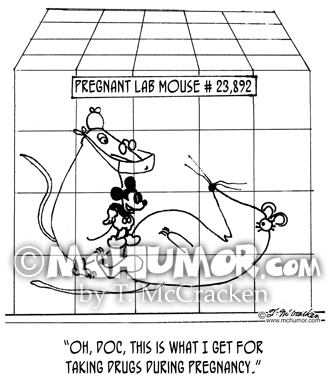 Withdrawal Cartoon 8069: “Morphine & Sugar Withdrawal.” Two patients in padded cells in a drug and alcohol recovery center go through DTs. 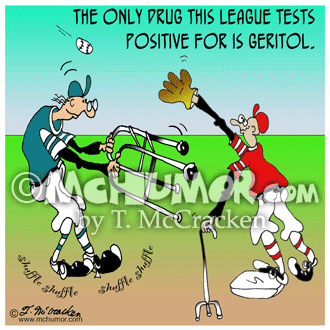 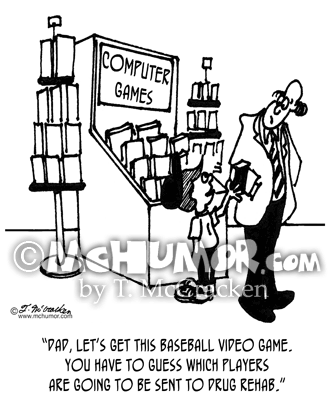 Baseball Cartoon 4879: An announcer at a baseball game says, "Number 20 is up. 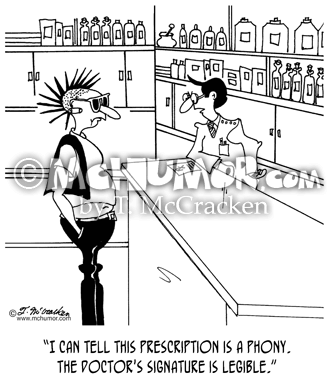 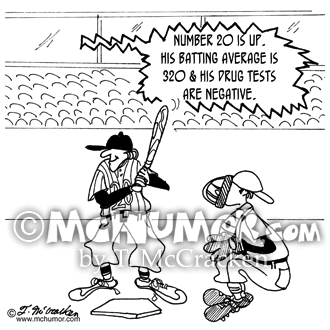 His batting average is 320 and his drug tests are negative."